Well, it wouldn’t be Easter without an Easter egg hunt! The National Trust have teamed up with Cadbury’s again and are offering what sounds like a truly magical hunt at Dunham Massey. Spot fairies in the trees, look for the troll under the bridge and let your little ones’ imaginations run wild on this magical trail around the garden. £2 per trail. Blakemere Village are also running an Easter Trail. If you have some train mad youngsters, then East Lancashire Railway have some great days out planned for the holidays. Craft Workshops, Easter Bunny, Neverland Express, Princess Adventure and a School of Wizardry, you will find something of interest there most days of the school holidays. 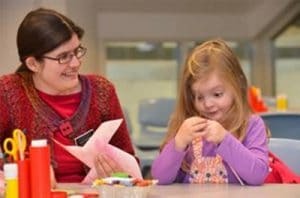 The Jodrell Bank Discovery Centre has lots of family events planned with a Black Holes Science Show, Make a Quasar Activity and Meet the Expert Days. This event also falls in the Easter Holidays this year and at Grosvenor Museum you can go and help them create a giant earth map out of recycled materials on 11th April. This event at The Lowry sounds right up our street! The Party is a fast paced, acrobatic circus show that humorously explores difficult topics such as sharing, social exclusion, and not always getting what you want… and there’s even pass-the-parcel. 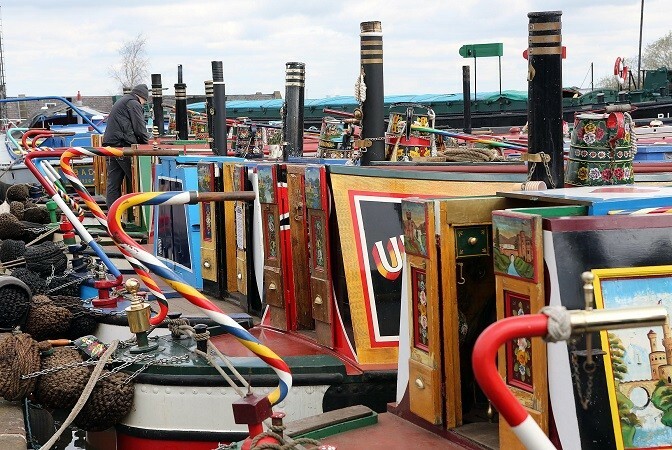 The National Waterways Museum at Ellesmere Port have an Easter Boat Gathering over Easter weekend which will celebrate the opening of their new museum too. If you have Peppa Pig fans you might be interested to know that Peppa’s 1st Cinema Experience is coming to cinemas across the region in April. A great introduction to the cinema for little ones. Wacky World is coming to the Old Granada Studios in Manchester from the 9th – 11th April. Dubbed the UK’s largest Inflatable Indoor activity event, you can tackle an amazing array of inflatables and interactive activities, from the UK’s first 4 arm wipeout, assault courses, giant slides & 35ft climbing walls, topped off with an award winning game show. The National Museum of Football have Arcade Club from 1st – 11th April. Come and play a selection of Arcade and enjoy the Football Museum too while you’re there. Tatton Park have a whole range of activities on over the Easter Holidays from cavemen to Vikings to Lambing to Easter Trails. But do book as many events get booked up early. We hope these ideas keep you busy over the Easter Holidays. Have a great time and don’t eat too much chocolate!